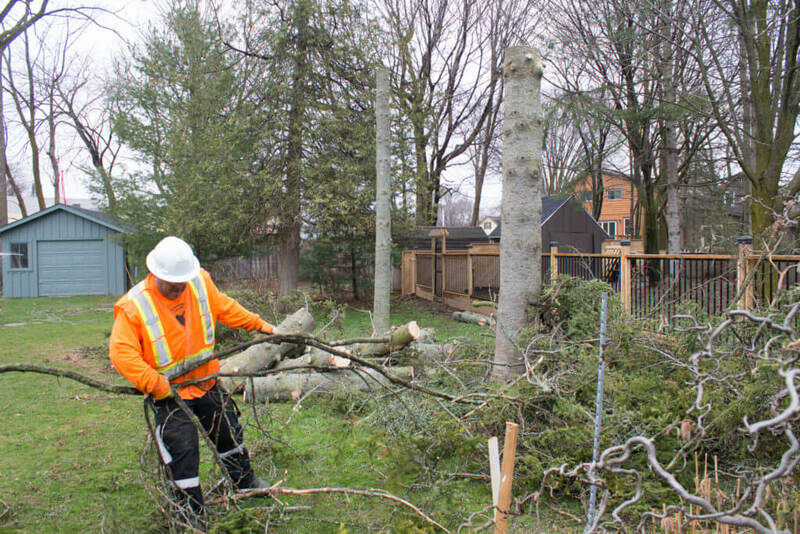 Beckett Tree Service provides the city of Owen Sound and surrounding area professional tree care arborist services with a fully insured and certified team. We care for our customers' properties as if they were our own. We provide a variety of tree care and removal services. We believe that each job big or small is important to both the customer and ourselves. We take the time to get to know our clients and their needs. For quality tree care service please call Matt Beckett for a free quote at 519-375-6274. Beckett Tree Service Goes Above the Owen Sound Competition! Capable of working around services such as hydro, bell lines, rogers lines and many more. When turf is damaged we repair it and plant new grass. Ultra low impact rigging available insuring little impact on delicate areas as well as Hiab crane service and other specialty services. We're a professional Owen Sound crew with a positive attitude!